Hello friends! It’s been a long while hasn’t it? It’s funny how you have all these plans for the year and then all of a sudden it’s the end of November…. We wanted to share with you some local artisans, craftspeople, and makers this holiday season so that you might want to support in your gift giving, or just in general! We are hoping to bring you a little variety from all over New England. These folks are so talented and wonderful and I wish we had gotten these out sooner but that is life! If you have a recommendation for someone we should feature, send us an email or DM on social media. We’d love that! Thanks for following along and being patient with us as we work to balance life, work, and passion projects! The community we have built here has always been amazing! Now onto, our guest! 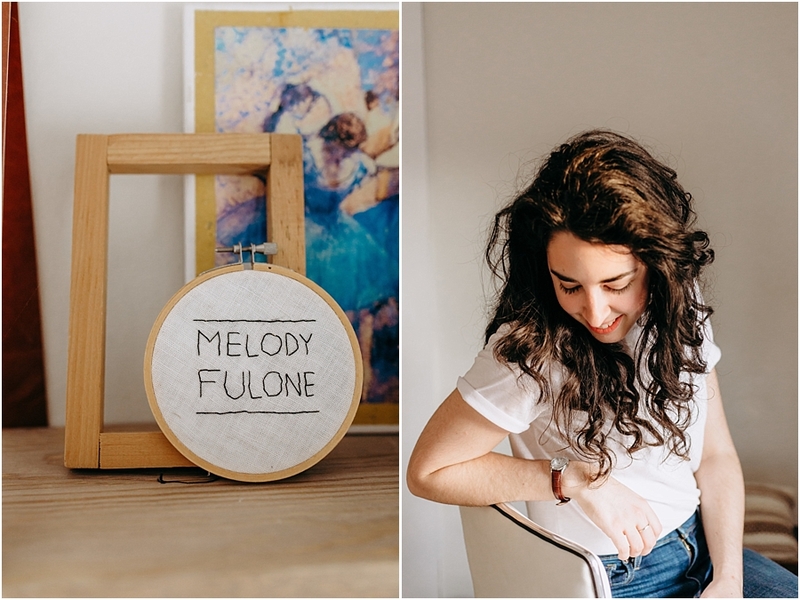 We did a little Q&A with Melody to learn a bit about her and her business. 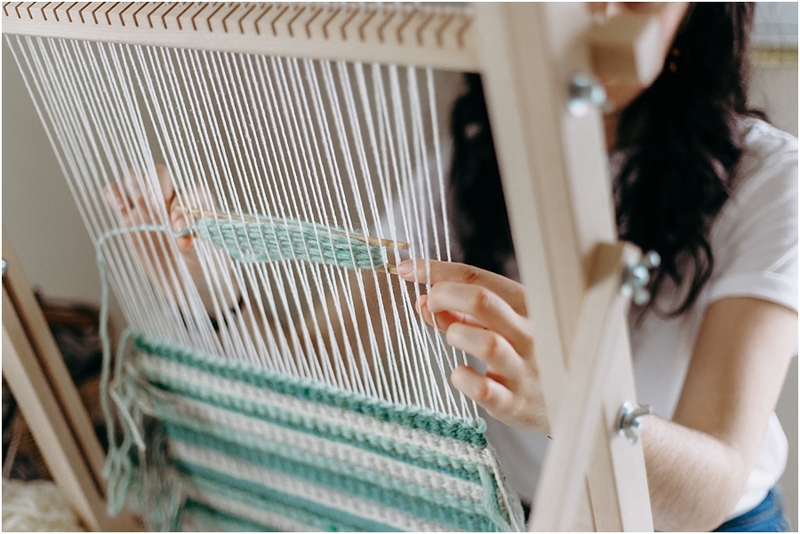 She is a graphic design student and her fiber work varies with different techniques such as weaving, knitting and crocheting. She was a joy to meet and talk to over coffee a few months back! What is the story behind your business? How did it all start and come to be? Creativity has always run in my family and manifested in different ways. My mom painted a bit, my grandmother owned two knitting machines and quilted, and my uncles were musical. I used to help my grammy wind yarn in her little craft room, and she even let me run a few rows on her knitting machine. When I was around 9 or 10, my mom taught me how to crochet. Those first few pieces were hilarious. I couldn’t figure out how to crochet a square shape - they always ended up triangular. A few years later, I bought a little pamphlet from good old Walmart and re-taught myself to crochet, and it stuck! In 2011, I started selling crochet and knit patterns online, and started an Etsy shop where I sold some simple crochet jewelry and accessories. Eventually I had some patterns published in a few books and magazines! Throughout the years, I continued to hone my craft, learning to weave, macrame, and embroider along the way. After receiving two giant commissions for lampshades from an architect company, I realized this was something I wanted to keep pursuing, as there were so many aspects to it. Are you from New Hampshire originally? Yes! I was born in Manchester, and grew up in rural Southern New Hampshire. I did move away for a bit in my early 20s to live in northwest Arkansas, where I enrolled in a missions/discipleship program and did some soul-searching and growing. (I highly recommend leaving the state you grew up in, even just for a few years. It does a lot for your perspective.). I moved back to NH in 2014, got a job, went back to school, and continued my fiber artwork. Although I started out with crochet and knitting, lately I’ve been entranced by weaving, and the combination of various fiber crafts in a piece. Right now, I’ve been making lots of woven pillows, small rugs, crocheted tops, and a few wall hangings. I’m trying to be more organized when it comes to my process for creating, but it just doesn’t work all the time. I usually get an idea when I’m driving to work or late at night, so I use voice memos to record them and write them down later. When I get an idea, I HAVE to try it right away. I’ll sketch out what I want to do, and then do some measuring and math to figure out what I need to do it, and research colors/textures. Then I get to work! What has been most challenging about the business? What is most rewarding or fun? The most challenging part about my business is the promotion. It’s very difficult to promote handcrafted fiber art, price it for what it’s worth, and tell the story. Staying focused is difficult for me, too - I work full-time and take full-time online college classes, so finding the time to blog or market my work is tough. Conversely, the most rewarding part about my business is the creating part. I don’t do what I do for money (which is great because it’s not my full-time job!) - I do it for the love of creating, and finishing a piece is one of my favorite parts. Also, sharing what I make with others - there’s nothing quite like that feeling, either. How has the New England / local community played a role in your business? The temperatures (niiiiiice and coooool - normally), the autumns (my absolute favorite), the ocean (it’s so close! ), the mountains (gorgeous), and the people. We can be a stoic lot, but once you’ve made a friend in NE, you’ve made one for life. I love the stone walls, the old trees, and the farms. Do you have some local spots you love to explore or visit? Who are your favorite small businesses in NE? I love exploring Portsmouth in the summertime. Wandering the old streets and looking at all of the beautiful old buildings, ice-cream from Kilwins in hand, is my favorite thing to do after a day at the beach. I also love visiting the old cemeteries around - a few of my favorites are in Amherst and Harrisville. In the fall, I adore hiking Monadnock, exploring the numerous historic small towns we have, apple picking, and finding the best apple cider doughnuts. My favorite small businesses in NE are Apotheca Flower Shoppe, The Local Moose, Ashleigh Laureen Photography, and Harrisville Designs (though that last one is a ‘medium business’). What does the future look like for your business, do you have any grand plans? 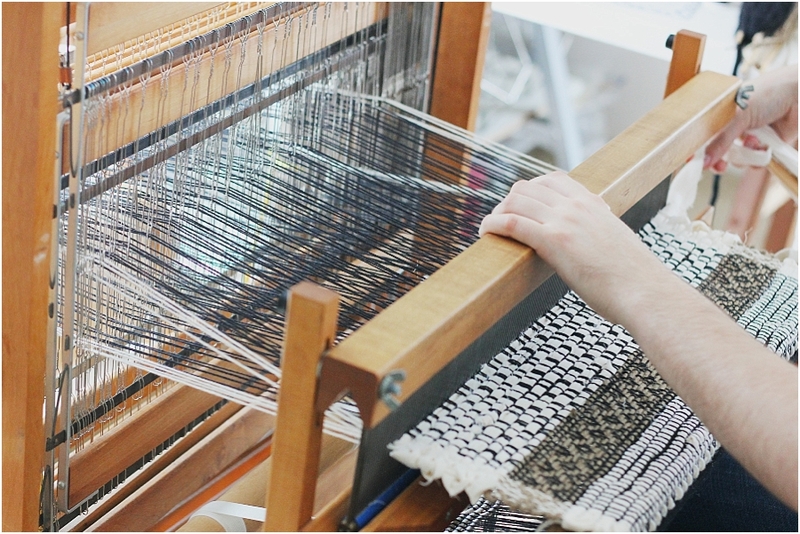 I recently rented a floor loom from the company where I work, and a whole new world of weaving opened up to me. I also learned to spin my own yarn, so that’s exciting too! When I finish college (I currently work full-time and am in my last year of online classes through SNHU earning my degree in graphic design), I hope to be able to devote more time to promoting my artwork. I plan to sell at more markets, and expand on my craft even more. However, I don’t see myself making a full-time job from it. I am an artist and I love to create - it’s part of who I am. Making sure I have the funds to keep creating is very important to me, and right now that looks like staying in the workforce (hopefully eventually as a graphic designer) and creating when I can. It’s a flow of consciousness, more than creating something that will ‘sell’, and I want to keep that. Faraway places, books that I’ve read and the descriptions in them of places and color, the rich history around me, and even the materials I use. I like to take time to consider the yarn and fibers I have and find new color and texture combinations. I’m really inspired by international textiles lately, too, such as African patterns, Mongolian patterns, and Papua New Guinea bilum bags. What do you do when you are in a creative rut? I stop making anything at all, and I take time to just read or go outside and be in nature. I also spend time with other people. It helps to take a break from being ‘on’ and worrying about making the next thing! What do you think is unique about your craft? I spend a lot of time with each piece, and I think a lot of myself is in each item that I make. 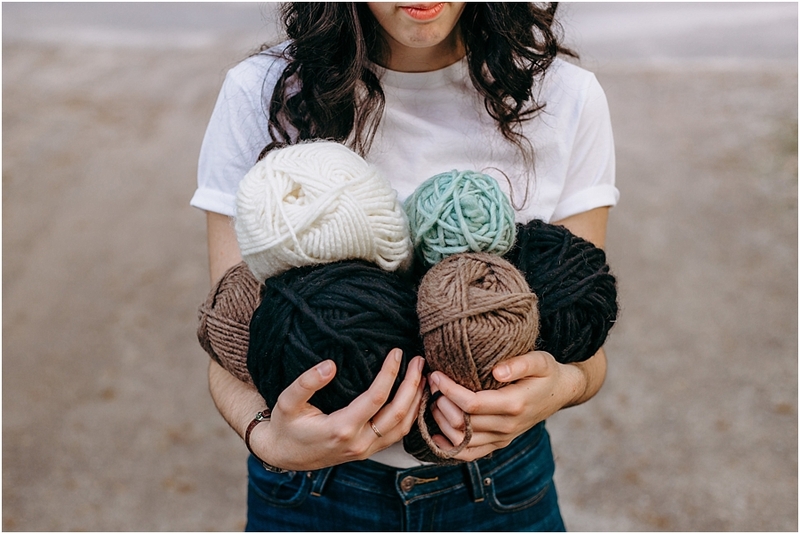 My hands follow the process from the yarn to the finishing, and I think that shows through. Each piece is created intentionally, even the ones that follow a pattern (like my crop tops). I take great pleasure in making something beautiful and good, to the best of my ability. What advice would you give someone starting out or just learning? Don’t stress! Take it slow, and try to stay yourself. One day at a time. I find that lists help me, as well as setting small, manageable goals to reach the big ones. Have a business bank account to keep your money separate. Try to keep track of growth as much as you can. If you are more of an artist type, like me, try to focus more on the creating and authenticity side rather than the sales side at first. Find others like you and get connected! And keep creating.